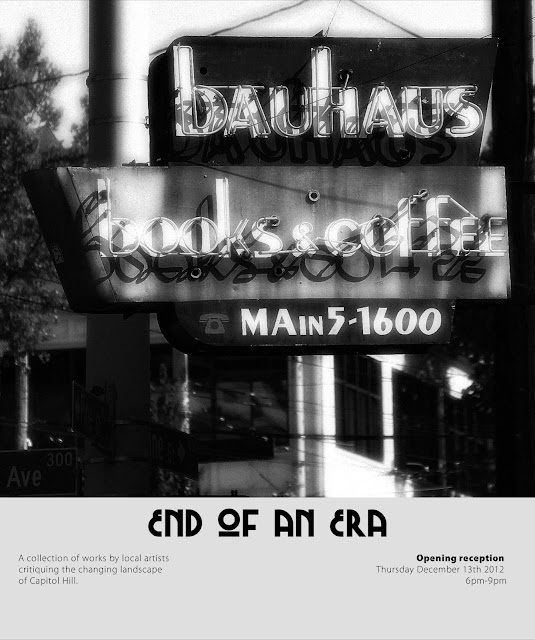 Opening reception of an art exhibit on the the changing landscape of Capitol Hill. Come if you can. I have one of my sketches exhibited. This building which houses Bauhaus will be demo'd sometime in June? Many of the businesses are leaving beginning of the year. It was unclear how long Bauhaus will remain at this site. So if you want to see the space and do a last sketch before they leave...you need to go soon.